Using footage from Quinn’s many ‘ice bucket’ interviews, Australian initiative Project Revoice, has been able to rebuild his voice. Working with Canadian software outfit Lyrebird, Project Revoice used deep learning algorithms to create artificial voices that sound more natural than previously. Using two-to-three hours of good quality audio recordings, the model can synthesise the essence of a voice and build a complete digital recreation. By linking this tech to eye reader assistive technology, Quinn can now deliver words in his own original voice, the companies said. A Lyrebird spokesperson said the company had created a model which can identify what makes an individual’s voice unique. Quinn said he didn’t like to hear his old computer voice so he often avoided getting involved in conversations. “This technology gives me back a vital piece of myself that was missing. After hearing my voice through this new technology, I was blown away. For patients to know that they can still speak in their own voice after ALS [motor neurone disease] takes it away, will transform the way people live with this disease,” he said. In mid-2018, Project Revoice will be launching a facility for motor neurone disease patients to record their voices at its website so they can be digitally recreated in the future. “We first started working on the idea of using advanced voice technology over a year ago,” said Rene Schultz, one of the project team’s leaders. “Voice tech is commonly used for commercial purposes so we really wanted to find a way to use this emerging tech in a more rewarding way,” Schultz said. “This technology is 100 per cent dependent on having consistent, high-quality voice material to work with. 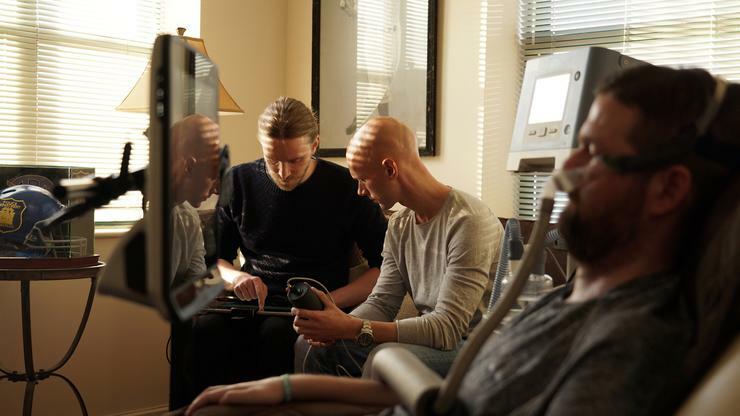 Since MND [motor neurone disease] is a progressive and sometimes unpredictable disease, we believe it is crucial to get the message out now and encourage more people to start thinking about voice banking while they still can, so they have the voice material necessary to create their ‘revoice’ when the full application launches,” said team leader, Oskar Westerdal.